The Bears aren't back in action until training camp at the end of July. This break gives the Bears staff time to focus on what's next. To help out defensive coordinator Rod Marinelli, Grizzly Detail wrote up a handy dandy to-do list. -- Find a scheme that takes advantage of Shea McClellin and Julius Peppers: The Bears wanted to boost their pass rush in the draft, and they did it with quiet, hardworking McClellin. Now it's Marinelli's job to figure how to utilize McClellin and Peppers' strengths. -- Consider who will be the better linebacker to work with Lance Briggs and Brian Urlacher: Geno Hayes and Nick Roach will both make strong cases to be the Bears third starting linebacker throughout camp, but Marinelli needs to get a feeling for which man pairs up with Briggs and Urlacher best. -- Sort out the corners: The Bears are packed with cornerbacks who Charles Tillman called the most talented group he's worked with. Tim Jennings, Kelvin Hayden and Jonathan Wilhite are joined by draft picks Greg McCmoy and Isaiah Frey. Marinelli will need to prioritize his corners to decide who will get the most snaps in camp. -- Make contingency plans for the old dudes: The sad fact about the Bears' defense is that they're old. 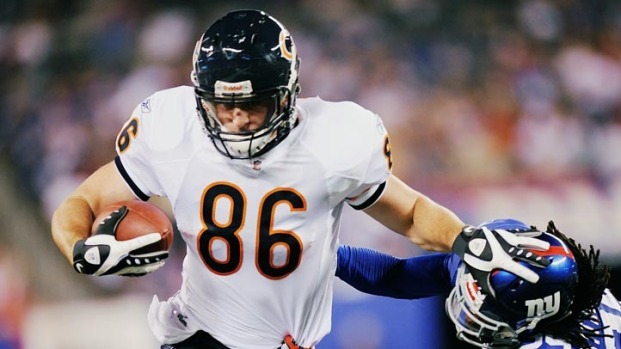 The Bears' defensive Pro Bowl selections from last season, Peppers, Briggs, Urlacher and Tillman, are over 30. Marinelli's challenge will be to balance using his stars enough to win and resting them enough for the players to remain effective all season.